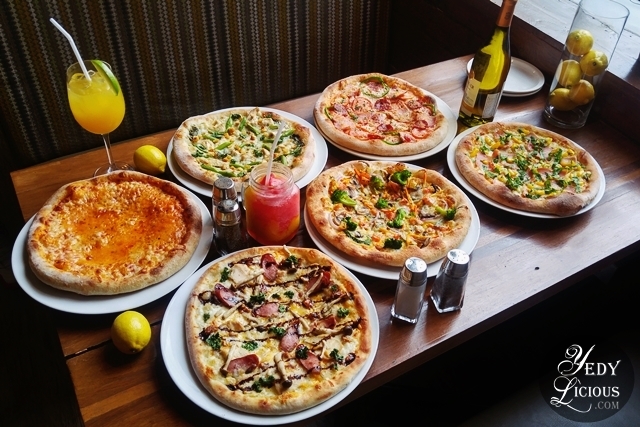 National Pizza Day at (CPK) California Pizza Kitchen is upon us and come August 15 to 16, diners may enjoy the traditional CPK Buy 1 Get 1 Free Pizza Promo. Staying true to their title as undisputed authority in innovative and adventurous California style pizzas, 5 new premium pizza will be introduced as the exclusive choices for the pizza promo. The highly anticipated winner of the CPK Pizza Wars 2017, the Garlic Cream Cheese and Sausage Pizza will be made available to the public during the National Pizza Day. If you love California Pizza Kitchen as much as I do, then you definitely should not miss the CPK National Pizza Day. Read on for more important details about the upcoming promo. 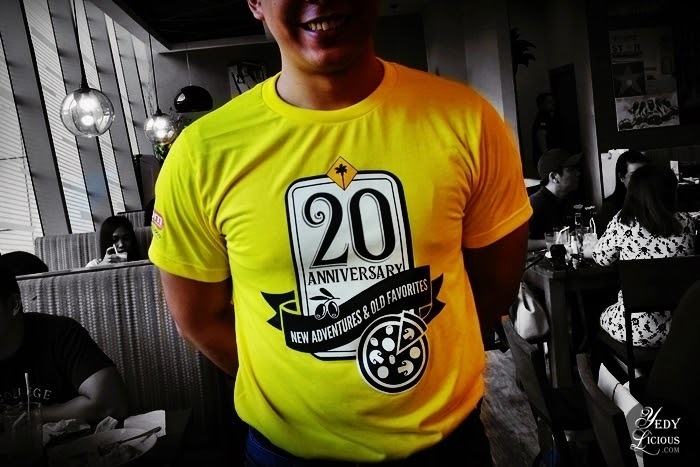 Now on its third year, California Pizza Kitchen’s CPK Pizza Wars continue to showcase its in-house pizza chefs’ talents through a friendly competition. California Pizza Kitchen has always been about creativity, innovative flavors, and culinary adventure which makes it California vibe a sure hit to pizza enthusiasts and foodies alike. CPK Pizza Wars is one way of encouraging CPK’s pizza chefs to challenge themselves to new heights by creating innovative artisan pizza that tells their personal stories. The grand winner of the competition, aside from bagging cash prize will be given an honor of having his winning creation to be included in CPK Philippines menu. CPK California Pizza Kitchen Philippines recently launched its new menu for this year 2017 highlighting and staying true to California uniqueness, creativity, inventiveness, and ingenuity. 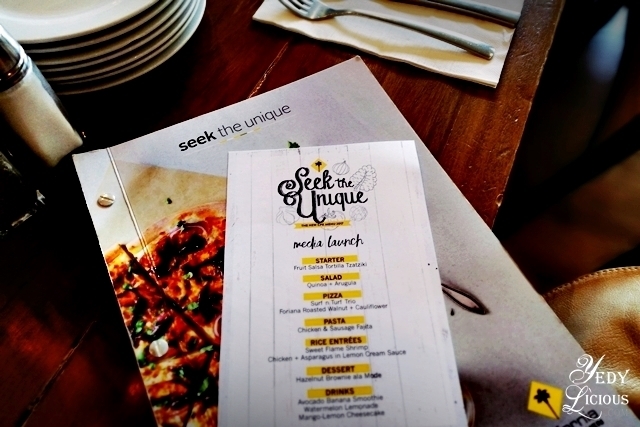 Tagged with the phrase "Seek the Unique", CPK PH's new menu boasts of new line-up of pizzas, pastas, salads, and get this - rice meals! Fervent requests to include rice meals on CPK's menu have been heard and answered. Now, not only we can enjoy the usual suspects of pizza and pasta at CPK, we can also celebrate our innate love for rice as well while dining at CPK. Of course, just like all other grubs on the menu, the rice meals are not without the touch of intrinsic California identity known for California Pizza Kitchen. 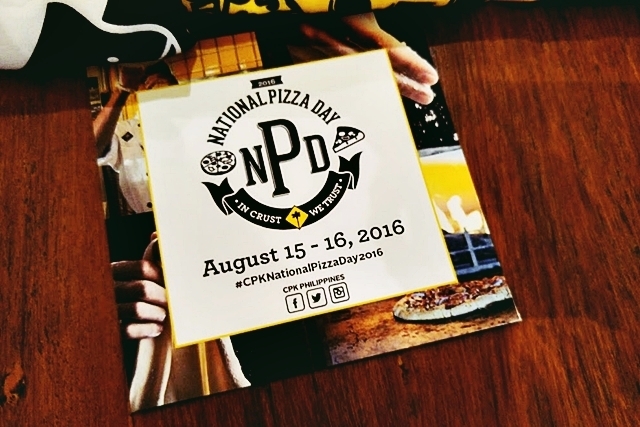 Free pizza awaits diners as California Pizza Kitchen (CPK) celebrates National Pizza Day on August 15 and 16, 2016. National Pizza Day is an annual event at CPK wherein guests can enjoy a buy-one-get-one-free pizza promo at all CPK branches in Metro Manila. 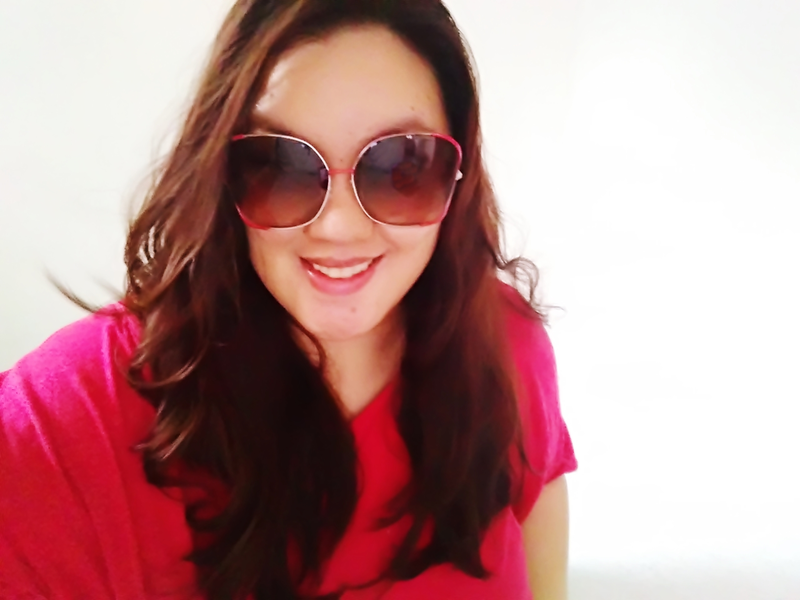 California Pizza Kitchen is known as the authority in innovative, hearth-baked "California-style" pizza many people love world wide. If you love CPK pizzas as much as everybody does, now is time to mark your calendars. Read on and check the details about the Buy One Get One Free Pizza promo of California Pizza Kitchen on their National Pizza Day celebration. California Pizza Kitchen Philippines recently launched its new menu with the theme "California is a State of Mind: For 18 strong years, CPK is still on top of its game by creating innovative dishes that bring the California spirit wherever they are. Menu reinvention is one of CPK's strongest suits which makes them an exciting young, fresh, and vibrant casual dining restaurant to visit despite the number of years they have been in the business. If you are a California Pizza Kitchen fanatic, these new offerings are the things you wouldn't want to miss. 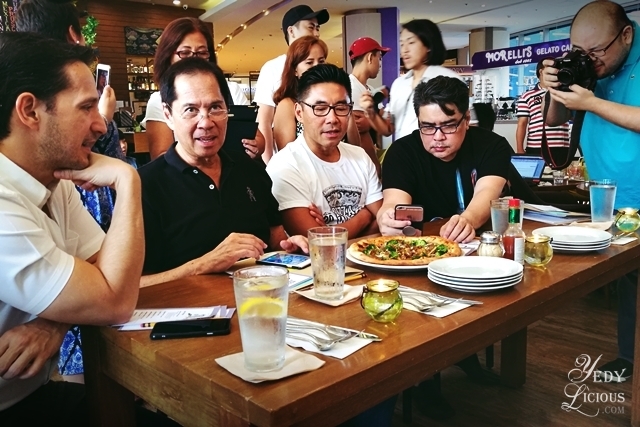 Selected media and bloggers were invited to sample what is tagged as the new taste of California at CPK Edsa Shangri-La Mall branch. Everyone had dibs on new salad, pasta, pizza, dessert, and drinks offerings at CPK. Duck and Buvette, Chops Chicago Steakhouse, Gyu-Kaku, P.F. Chang's, California Pizza Kitchen, and Teddy's Bigger Burgers are just some of the restaurants at Shangri-La Plaza Mall everyone who craves for good food has to visit. Although Shangri-La Mall established itself as a perfect destination where shoppers may find choicest retails especially when they opened up their East Wing, when it comes to equally impressive food destinations, they also do not disappoint. 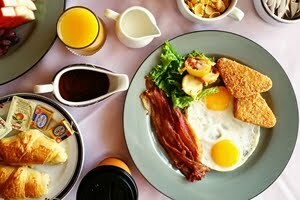 Shangri-La Plaza Mall houses variety of restaurants some food enthusiasts tagged as some of the best in Manila. From locally owned to International franchise, these restaurants are the reason why Shangri-La Mall is deserving to be considered as one of the top food destinations we now have. Recently, Shangri-La Plaza held an intimate dinner to showcase some of the best dishes that the restaurants they houses are offering. The event aims to show that Shangri-La can be the best option for leisurely dining engagement this season. But I think, regardless of the occasion, these restaurants are well worth a visit.